Scientists recreated a 9th Century Anglo-Saxon remedy using onion, garlic and part of a cow's stomach. 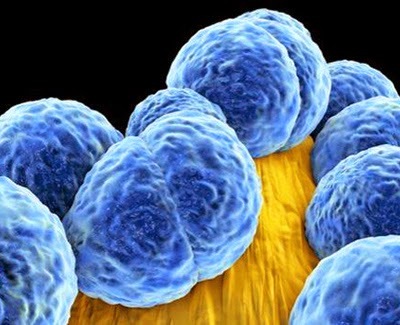 They were 'astonished' to find it almost completely wiped out methicillin-resistant staphylococcus aureus, otherwise known as MRSA. The remedy was found in Bald's Leechbook - an old English manuscript containing instructions on various treatments held in the British Library. It is one of the earliest examples of a medical textbook. NeoLAB hAS launched smartpen following a wildly successful Kickstart campaign that raised more than over $350,000. After selling some 2,500 pens during the initial round of crowdfunding, those that missed out are able to purchase one. 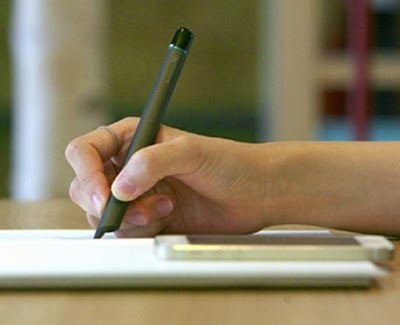 The aluminum N2 writes with ink on paper like a traditional pen but the magic happens when it is connected to an iOS or Android device. Your writing, sketches and scribbles are transcribed just as the ink dries on paper. Even when not paired with a device, the N2 can store up to 1,000 pages of writing. Additionally, the N2 will be able to record and sync audio notes with your devices. Within the app, users will be able to organize and sort notes by title, tags or date created. Content will also automatically sync with Evernote or sent to applications like Adobe Illustrator or Dropbox. The app is even able to convert digital text into 15 languages. NeoLAB’s N2 is available from Amazon for $169 in black or white and includes a holder with purchase. A few years ago, Ikea announced it had designed a better refugee shelter, using its flatpack furniture as a basis for engineering. 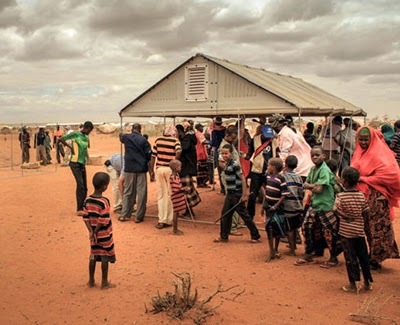 Working with UN, the Foundation spent years prototyping shelters that could replace the fragile tents that are usually used to house refugees. The UN's High Commissioner for Refugees has placed an order for 10,000 units of Better Shelter, which it will use to house refugees around the world. The units were tested by displaced families in Iraq and Ethiopia, and according to Irin News, the first of the UN's 10,000 units will be sent to house some of the 2.5 million people in Iraq who have been displaced over the past year. Better Shelter arrives in two cardboard boxes with all the tools needed to assemble it. Each box can be lifted by four people, and assembled by the same team in no more than eight hours. The package contains an image-based user manual. Inside, there are details that make these shelters livable for long periods of time: A lockable door. Windows and ventilation. A photovoltaic system to supply electricity. They're built to last as long as three years, which is another major step forward —s ince refugee housing tends to wear out before the displaced have permanent housing. Starfighter's games will have a story. 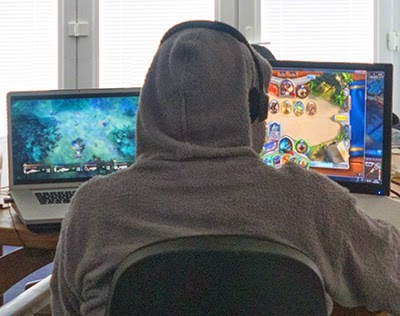 "You'll pretend you're a spy for the day, for example," says Patrick McKenzie, Starfighter's CEO and co-founder. "The story might be to break into tech that's securing state secrets, but it's the same tech you'd use to secure a bank in the real world." Starfighter's games will be totally free, and while they won't have fancy graphics, they will be engaging to play just for fun. Starfighter isn't ready to talk about exactly which skills their games will test, but its founders have already built a game called Microcorruption. It imagines a scenario in which players must break into locked warehouses all over the world, each one stuffed with cash. A smartphone app controls each warehouse lock, and the players have to break in without knowing the code. Of 12224 players, just 182 passed the hardest level. The firm will get in touch with these elite players and help place them with one of their clients, who pay Starfighter a fee. 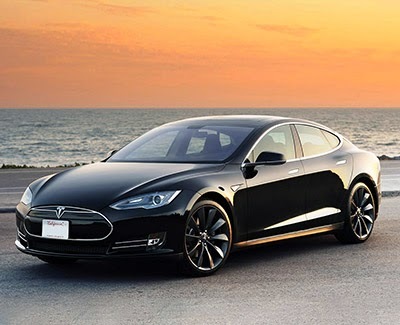 Tesla Motors supremo Elon Musk is used to promising a lot – but the latest update to the software in his all-electric cars seems to promise the impossible: the ability to magically turn them into self-driving vehicles. In a conference call with journalists on Thursday, Musk said that in about three months, Tesla will push out version 7.0 of the cars' operating system, and that it would allow each car to drive from San Francisco to Seattle with little or no need for the human driver to touch a pedal or wheel. For the moment this will only be enabled on freeways, suggesting the sensors in the front can identify white lines on the road, and keep the car between them, and also sense other vehicles around. Looking even further ahead, Musk said future updates would include a system to call your car to your location using a smartphone app, and a way to send it automatically into a garage or parking space. 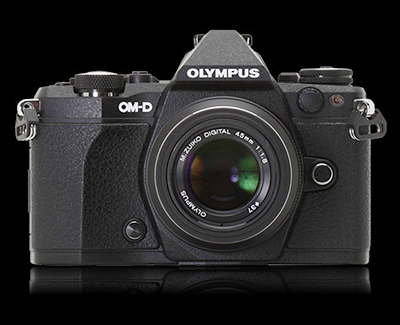 Digital Photography Review has published a full review of the update to Olympus' OM-D E-M5. "The Olympus E-M5 II is a more significant reworking of its predecessor than its looks or choice of sensor seem to suggest. 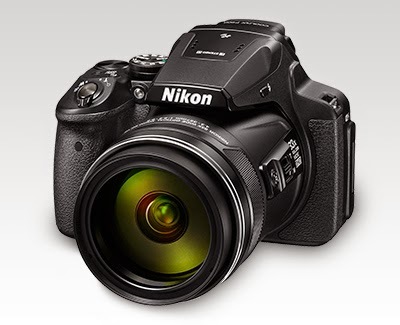 The camera boasts a wealth of additional features and refinements to many of the existing ones have been upgraded." The image quality isn't radically changed, compared with the original E-M5. This means it's still very good, with Raw files as clean and malleable as you'd expect for a Micro Four Thirds camera. The JPEG engine remains one of our favorites, producing bright, pleasant images at all but the highest ISO settings. Raw performance is strong, in that it offers a similar performance (proportionate to sensor size) to its other Sony-sensored rivals (such as the Nikon D5500 and Sony a6000). However, while this means it offers more flexible Raws than the current batch of Canon APS-C cameras, the advances Samsung has made in its NX1 and NX500 mean the M5 II's performance is no longer standout excellent. The high-res mode is only useful in a narrow range of situations, requires a good lens and requires absolute stability, but the results it yields can be impressive. The camera feels great and fits well in the hand, and offers an impressive amount of direct control for a body that's so small. This compact form factor is aided by separating the flash out as a separate clip-on unit. The E-M5 II is probably the stand-out Micro Four Thirds camera in a market with some very good rivals. This shifts more of the emphasis of its appeal and appropriateness to the strength of the Micro Four Thirds system as a whole: if it offers the lenses and size/price/image quality balance that's right for you, then the E-M5 II should be top of your list. But in these competitive times, the E-M5 is no longer the mirrorless king: it's merely the heir-apparent to one of the great mirrorless families. 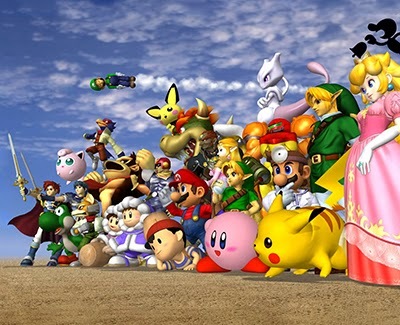 Nintendo has announced that it has partnered with Japanese mobile game maker DeNA to jointly develop games for smartphones, tablets and PCs, meaning that new titles based on iconic franchises such as Mario, Pokemon and Zelda could be available on devices such as iPhone, iPad and Mac. Nintendo will purchase a 10% stake in DeNA for $182 million as part of a cross-shareholding deal, according to The Wall Street Journal. 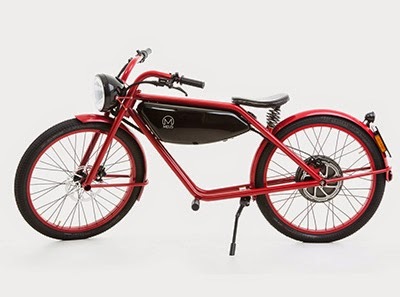 Dutch designer Ronald Meijs has created the Motorman, an electric “moped” that’s become the fashionable green machine for daily commuters throughout Europe. Motormans have been spotted on the cobbled streets of Amsterdam, Ibiza, Düsseldorf, Maastricht, Zurich, and Brussels. The drivetrain is fully electric. There’s no iPhone charger, blind spot detection sensor, or autonomous driving mode. Not even a cup holder for your macchiato. What you will get is brilliant industrial design. Mr. Meijs has gone full retro. With its balloon tires, low-slung gas tank, oversized headlight, and spring-mounted leather seat it looks like a cross between a Schwinn cruiser and a 1915 Harley-Davidson. Weight: 99 pounds. Range: 43 miles. Top speed: 28 mph. Charging time: 6 hours. 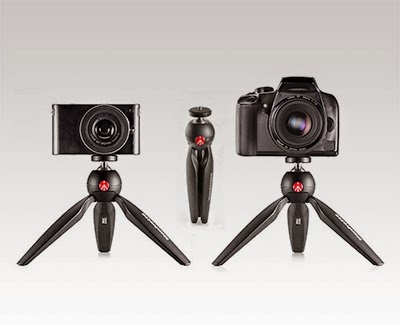 Price: €5,750 for the base model (available in Jet Black or Ruby Red). 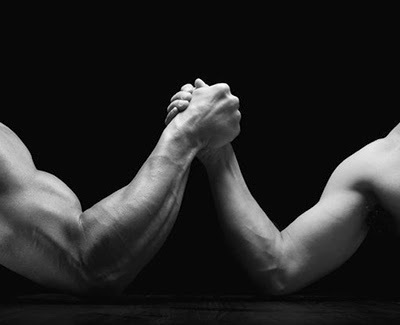 The researchers homed in on 10 pairs of male identical twins, one of whom regularly exercised, while the other did not, usually because of work or family pressures. The dissimilarities in their exercise routines had mostly begun within the past three years. At some point, I will stop being surprised at how thin and light gadgets continue to get. But not today. Picking it up the MacBook feels like lifting an iPad rather than a laptop. And when you look at the 13.1mm-thick machine from the side, it looks like a screen propped up by a metal stand. Of course, it’s thin because all the ports you know and love are in the trash. No more SD card slot, no more full-sized USB ports or Thunderbolt. All that’s left is a headphone jack and one — and only one — USB Type C port. The latter charges the laptop, but also can be used to send video to monitors and connect and charge other devices. The edge-to-edge, 2304×1440-pixel Retina 12-inch display is crisp and bright — a huge improvement over the current MacBook Air. The trackpad has a smoother coating and new touch capabilities. Called Force Touch, the pad is now a single piece of flat glass that can respond to different pressure. You’ll still feel a 'click' when you press down on it, but that is actually all done with software. In a demo, Apple showed me how to press gently on the pad and then more firmly to speed up a video. I’m not sure how useful that feature will be, but the good news is that for regular navigating, the trackpad feels better than ever. To accommodate the thinner bottom, the keyboard also had to be slimmed down. A new mechanism under the keys still gives them a slight spring—functional. It is harder to tell where the keys start and end. So I was shocked at how fast and accurate I was able to type. It weighs 920 grammes (less than my iPad 3 with its case, Ed.) 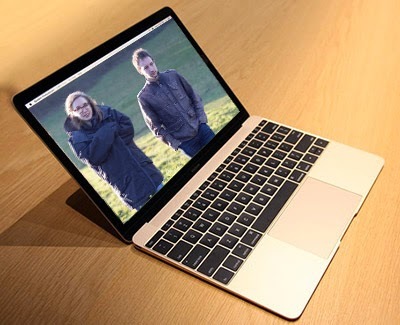 Apple claims the new MacBook will get nine hours of battery life. Available in Silver, Gold and Space Grey. Prices start at £1049. Available 'soon'. The Galaxy S6 has a flat display, metal frame, and glass front and back panels. 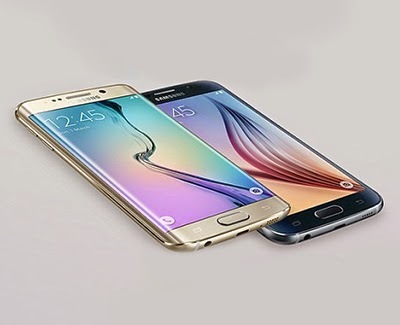 Its counterpart, the S6 Edge, has all of the above, but throws in a curve to the sides of its front and rear glass. The front and rear panels are Gorilla Glass 4 with metal frames. - Integrated support for Samsung Pay. Look at the fingernail on your little finger. 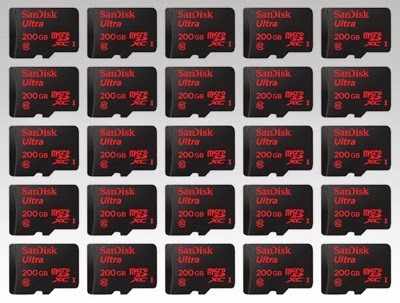 That's roughly the size of a microSD card, which can now hold a whopping 200GB of data thanks to SanDisk. Available sometime in the second quarter of 2015, the new microSDXC card uses the same technology that SanDisk developed for the 128GB microSDXC card it introduced last year, but with an improved design allowing the company to increase storage capacity by 56 percent. The new card also boasts transfer speeds of up to 90MB/sec.